Networking has always been popular and is deemed very important in one’s business or career growth. Let us delve more into the framework that is Business networking, how it can help you, what to expect and what to do in such an event. Developing valuable mutual relationships with people and companies as well as. building solid connections within a network that fosters trust is the cornerstone of good networking. Instead of hoarding contact information, a small particular network may provide more benefit, and hopefully turn them into valuable customers. This is why networking events and conferences will work best when it is set in a mutually comfortable setting. The restrictions and formalities should be lessened in order to get more personable and to be able to build genuine human connections. Imagine the impact when someone remembers you from a past conversation that you’ve had with them rather than just another name on a business card. The percentage of being able to connect and open up doors to possibilities are more reachable when you’ve had that personal connection with someone. What Are The Key Benefits of Creating a Business Network? There is a multitude of advantages when engaging in various Business Networking events or activities in your community. Then, attending those gatherings will make your presence perceptible in your business community that you are a part of or wanted to be a part of. Lastly, is that you will also be updated with the latest trends and topics in your business faction as you actively engage in conversations with other members. The most well-known benefit of networking is to meet potential referrals, clients, and possible investors. Networking can also become a tool that might help you come across certain opportunities for partnerships, business joint ventures, or future expansion for your business. For some people, their paramount intention in attending business networking events and conferences is to be able to gain new contacts that might play a big role in the future of their business. Although just like any relationship it’s an integral part to have a give and take and not a take, take, take relationship. For you to have a worthwhile networking experience you need to build a relationship with particular individuals that you want to have contact or connections with. But you have to bear in mind that not all of the participants or people that you’ll meet in a business networking function or conference will be able to help you, nor will you be able to help them as well, but that doesn’t mean that it’s reasonable for you to ignore or brush them off. Your attitude towards other people is your greatest asset or your worst liability. Listening and the ability to focus on how you can help the person you are listening to is among the most significant skill set for an effective business networker. Start thinking outside of yourself. Don’t prioritize on how other people can help you because it might place you in a different light and it will have an impact on your reputation since very few people wanted to be associated with a greedy person. Highlight someone else’s work and then compliment it with your strengths. This way, you can show them what you can do and how being connected to each other is a mutually beneficial move without overshadowing their achievements. So, it’s crucial to establish a mutually beneficial relationship when you want to achieve a superb quality of networks. We’ve already established the definition and benefits of business networking now the next question is where can you possibly find the people you can network with? There’s a myriad of business networking events out there and the reasons why people partake in them are very diverse. Some of the great examples of these Networking events are Industry-Specific Speaking Engagements such as seminars and conferences, Roundtable Events, and Happy Hour Networking Meetups. There’s a variety of this kind of functions but depending on the availability in your community. When you’re trying to consider a professional or business networking event that is available in your community, it’s good to consider the advantages that it will bring for your career or business objectives, whether you’re trying to do talents acquisition, or you’re looking for new clients, investors or just to rub elbows with other business people. When you have already established a clear business objective then try to find the events and conferences that best interests you, that fits in with your personality and that is suited to your needs and goals. This is according to Robert Kiyosaki, an author, and an American businessman. But Why do we need to build networks? And what do we really get out of these Business Networking Events? Business Networking might be an essential part of your success because these networking type of events provide adequate opportunities for personal or business marketing, brand positioning, talent acquisition, contact establishment, and future partnership. Build your networks now before you even need them. Think of this as the framework necessary to build your empire on. As the famous saying goes “It’s not what you know, it’s whom you know.” We’ve all heard that time and time again. We’ve seen it in movies and it may even play a part in our everyday lives. 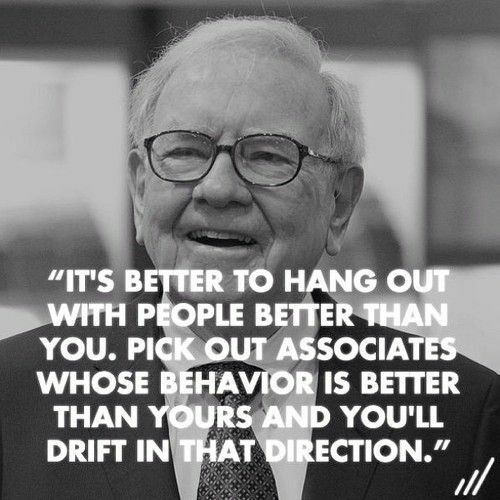 That’s why it is crucial for businesses and to businessmen to build your networks, it will enable you to meet key people that might one day be a vital part of your success. Networking events are a key element to business success, so why would you let yourself be left out? For your next Business Networking Events needs may it be for your business community or your company. You may check us out here. Youcanevent.com is an online marketplace where organizations, companies, brands can book vendors and event planners when organizing their event. We will help you build the best conference or networking event for your business’ needs. Our customer support will help make transactions stress free. No longer time consuming, our platform aims to help you connect with sponsors, key speaker, and attendees as you have more time in your hands to focus on them. Event organizers from trusted brands like Microsoft, Pipedrive, Mary Kay, Primark and many more used Youcanevent.com to plan their events.